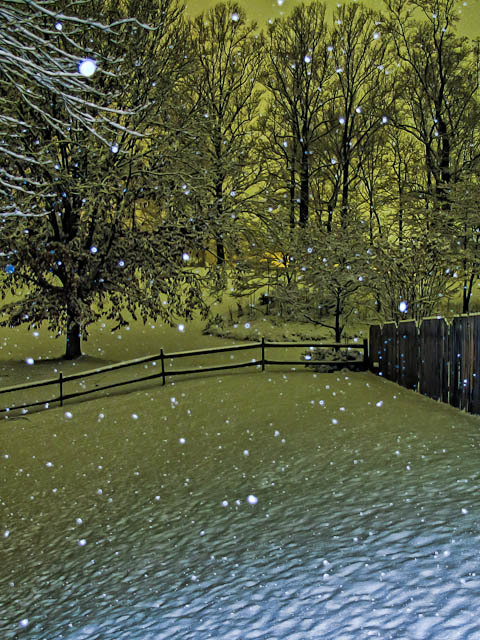 This was a 15 second exposure made around 8:30 PM Christmas night, off our back porch. I had the flash on to catch the snowflakes. Just experimenting with long exposures to see what I can do. Better than this probably, but this is a good start. The “yellowish” glow is from the lights in the night sky from the City of Martinsville and our neighbor’s house way in the background.